In case file extensions on a computer have been appended with hairullah@inbox.lv, it indicates a ransomware issue that must be fixed as soon as possible. Samples of a new ransom Trojan are being continuously reported by users who happened to fall victim to another vicious extortion attack. The attribute that all infestation encounters have in common is the “.id-(random 10 digits)_hairullah@inbox.lv” string, which is automatically added to the regular file extensions on the computer. These modifications ultimately result in one’s personal data becoming inaccessible, with the attempts to manually edit the extensions or use different programs to open the files turning out to no avail. This article is going to shed light on what actually happens to the documents, images, videos and other objects stored on the compromised PC if it becomes affected by said ransomware, and provides efficient troubleshooting advice. The hairullah@inbox.lv (hayrullah@inbox.lv) contamination workflow is heterogeneous: some people get the malicious dropper after opening an infected email attachment, while others get in trouble when browsing to sites that host exploit kits. The latter scenario is extremely obfuscated, and the potential virus distributing pages can be hacked ones, so neither the visitors nor even the webmasters are aware of the risk most of the time. One way or another, the plague infiltrates into a system in a furtive fashion, which gives it a time gap to do the bulk of damage without being spotted. The ransomware triggers a scan of the just-assaulted machine, which is an inconspicuous process taking place in the background. While scanning the hard drive, hairullah@inbox.lv virus focuses on the elements that bear the generic characteristics of personal data. These include files with extensions like txt, zip, rar, pdf, jpg, msi, iso, xml, inf, dwg, rtf, csv, avi, doc, xlx, db and quite a few more. Once this checkup has been completed, the objects meeting the pre-set criteria get encrypted with public-key crypto. On the outside, it looks like these items’ extensions have been twisted to end with id-0123456789_hairullah@inbox.lv, where the ten digits vary from case to case. The outcome is critical: all affected personal files become and stay unavailable as long as the criminals keep the private decryption key on their server. In order to retrieve this key, the victim is suggested to pay a ransom before a specified deadline. The respective payment directions are listed in a file that instantly pops up after every system boot. Hairullah@inbox.lv ransomware only affects one’s information stored on HDD drives that have letters assigned to them. The same criterion applies to removable drives and mapped ones. The peculiarity of this attack consists in the relative ease of removing the Trojan proper, but this is merely an insignificant part of the overall fix. The personal files will stay encrypted, and submitting the fraudster-required amount of money is a lottery with unknown upshot. It’s hence strongly recommended to uninstall hairullah@inbox.lv virus and implement a few workarounds in order to recover the information that will otherwise be lost. 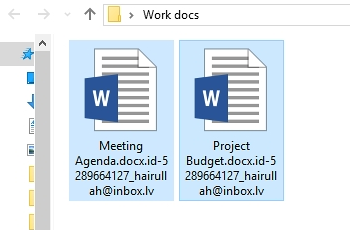 It’s an odd thing but the hairullah@inbox.lv program itself is not too persistent as far as removal is concerned. Reliable security software does the cleanup job, but be advised this is in no way related to restoring the encrypted data, which is an issue to be touched upon in the next part of this article. So, before you proceed with file restoration, it’s recommended to get rid of the ransomware proper so that it won’t cause you further trouble. When the software returns a list of malicious and potentially unsafe items found on the PC, select Fix Threats in order to have the hairullah@inbox.lv infection uninstalled from your machine. An additional virtue of this process is the elimination of other threats that may be active in the background. Despite the fact that the share of users who regularly back up their data to the cloud or external storage is negligible, they are immune to malware attacks like this. So, if you are lucky enough to be one of these people, use backups to recover your personal information. Before doing so, make sure hairullah@inbox.lv has been removed from the system (see section above). According to the recent research, this ransomware encrypts copies of files it detected on a computer. The original documents, photos etc. get erased. This is where you can benefit from file recovery tools which are designed specifically to find and restore objects that were previously removed from a PC. Even though hairullah@inbox.lv deletes the original files with a number of overwrite passes, utilities like ParetoLogic Data Recovery Pro might address this problem. 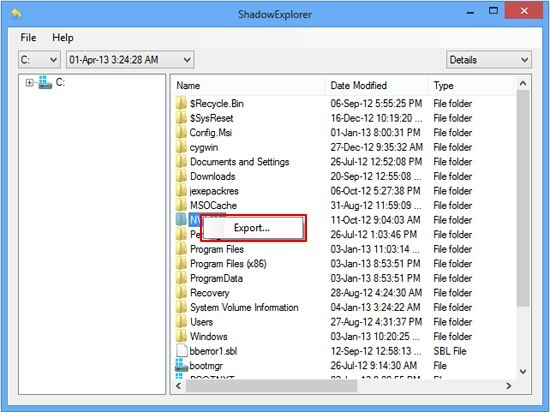 There is a feature that Microsoft Windows is shipped with – it’s called Shadow Volume Copies. It means that all files on the computer are automatically subject to copying and storing. 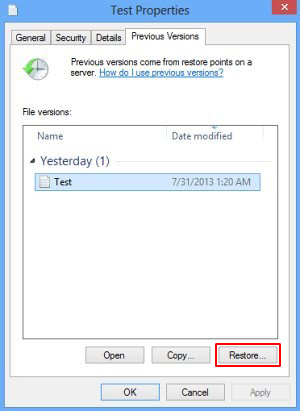 Be advised this only applies to the cases where the System Restore feature is turned on; luckily, that’s not a rare scenario. While hairullah@inbox.lv may incorporate built-in countermeasures for recovering Shadow Volume Copies in the regular way, it’s strongly advised to give this method a try. It can be done manually or through the aid of a dedicated automatic tool. Given the possible tenacity of this ransomware, it’s recommended to repeatedly check the machine for its components after the cleanup procedure has been performed. Now that you have hopefully managed to recover your most important personal files, rescan your system with trusted security suite to make sure hairullah@inbox.lv extermination has been successful.